Europe is a large and diverse continent rich in languages, cultures and customs. However, the one thing all the nations within the EU have in common is their love and enthusiasm for sports and competition. 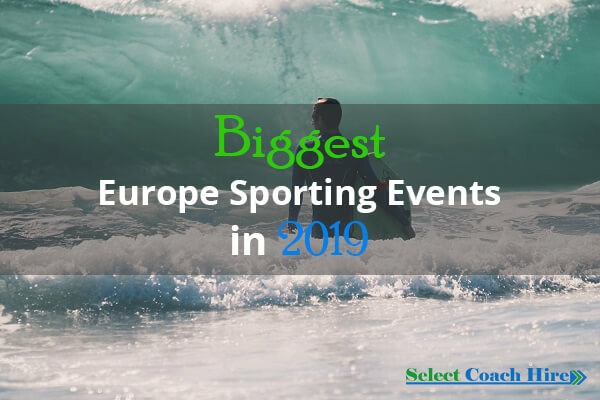 After all, Europe is where the Olympics began, and below is a list of the hottest events that you will not want to miss this year when you book coach hire to Europe. This horse race will be held in France and has a Group 1 classification. Only thoroughbreds which are a minimum of three years of age will be eligible to compete. The racetrack will be at Longchamp which has a length of two thousand four hundred metres (1 ½ miles) and this event is held annually. Nicknamed the Arc by fans, this contest is considered to be one of Europe’s premier horse racing competitions, featuring the world’s most impressive stallions and their riders. The winner will become champion. 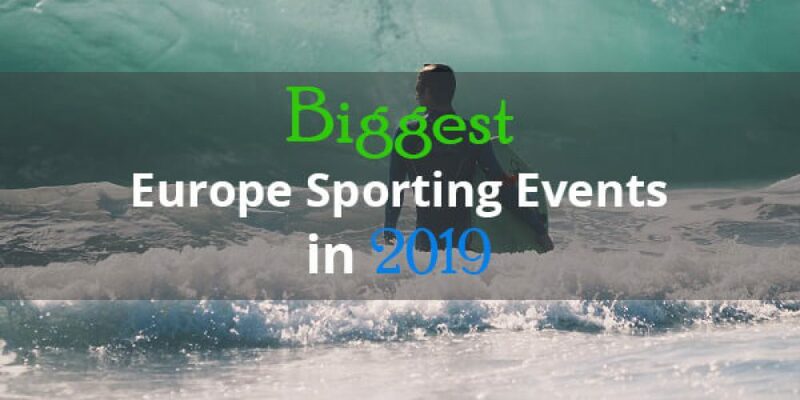 The European Games of 2019 will be hosted at Minsk, Belarus, and are highly anticipated by fans around the world, as it will have 199 events which are separated into fifteen different sports and twenty three disciplines. Just a few of the sports that will be featured this year include table tennis, gymnastics, karate, basketball, archery, shooting and boxing, wrestling and badminton. Second only to the Olympics in terms of its prestige, approximately four thousand athletes are expected to compete, from about fifty countries. In fact, eight featured sports will serve as qualifying events for the Summer Olympics of 2020 which are planned to be held in Tokyo. Fans will be seated within Dinamo Stadium, which has a maximum capacity of 22,000. This year’s IIHF Ice Hockey World Championship will be held within Slovakia, and will mark the second time the country has hosted the event. The competition consists of a yearly men’s tournament of ice hockey which is organized through the International Ice Hockey Federation, and is considered by fans to be one of the sport’s most important tournaments. The modern structure consists of sixteen teams inside the championship class, as well as twelve teams within Division I and twelve for Division II. In cases where more than forty teams will be present, the remaining will perform in Division III. Those within the championship class will perform in a preliminary round, after which the best eight teams will perform in a medal playoff round to determine who will become World Champion. The IIHF World Championship is second in importance only to the playoffs of the Stanley Cup, hosted by the NHL, and those who emerge victorious in the IIHF World Championship will have the opportunity to advance into it. A number of adjustments have been made to the rules over time. For instance body checking in 1969 was allowed for each of the three zones within the rink, and both goaltender and helmets became mandatory to wear by the 1970s. From 1920 to 1976 only amateur athletes were allowed to compete in the IIHF World Championship, which left out most of the NHL players, and although this rule changed in 1977, most of those competing in this event today are still younger players who are gaining experience, with the most successful advancing into the NHL. This competition is designed to showcase the worlds up and coming artistic gymnasts. Organized through the FIG, or Federation Internationale de Gymnastique, this year the event will be hosted in Stuttgart, Germany, with both men and women’s competitions. Dozens of countries will be represented, and winners will be determined by the number of medals their athletes capture (especially gold). This competition is closely associated with the Olympics, as athletes who perform well will often advance in to it, but typically the World Artistic Gymnastics Championships are held in non-Olympic years, so is seen by many as being a qualifying event.